It's freeeeezing out this morning. I wanted oatmeal (as usual) to warm my bones but we're out of instant and I was too impatient to make them on the stovetop. 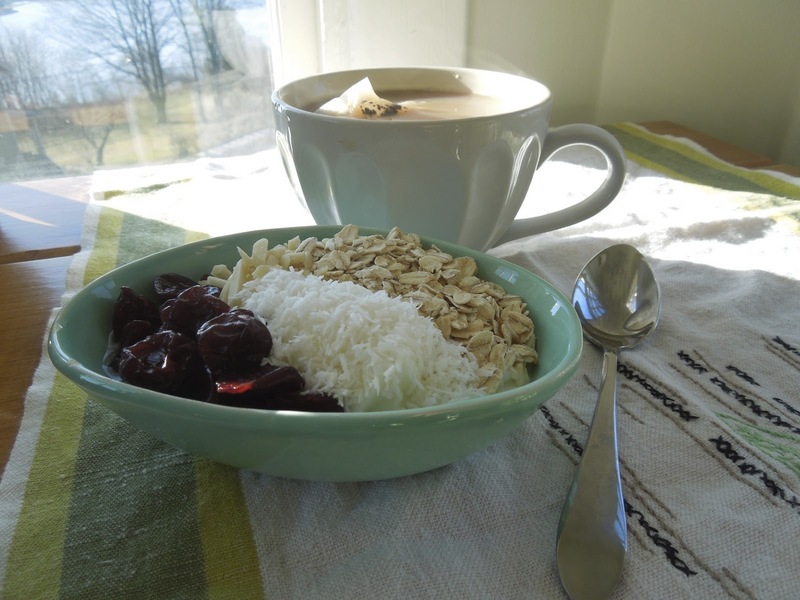 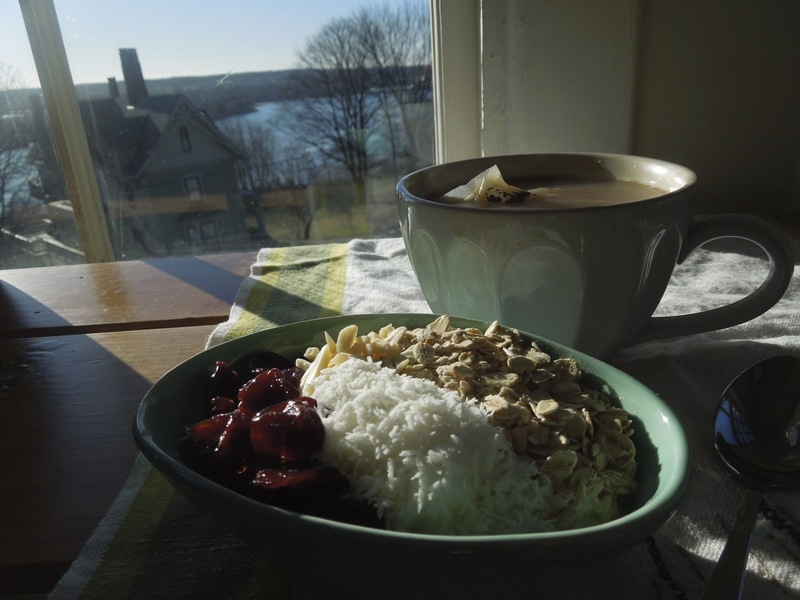 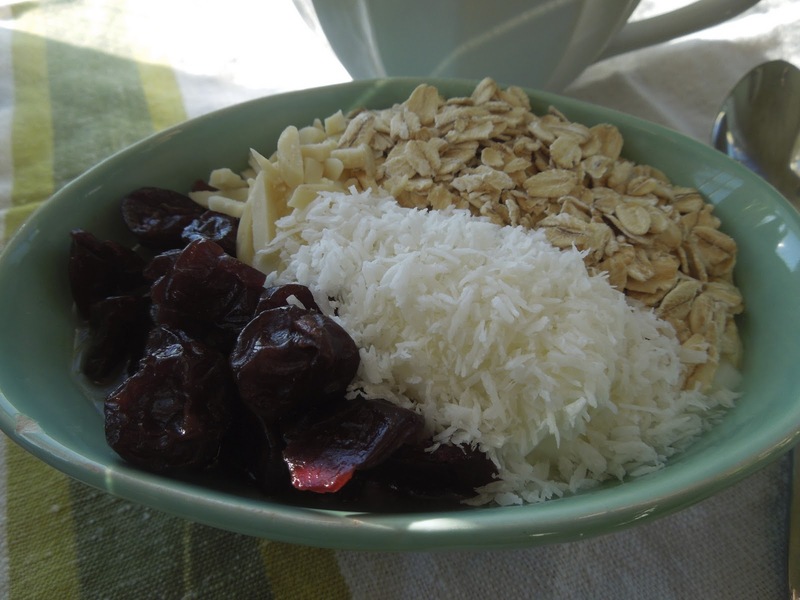 So key lime yogurt, dried cherries, oats, almonds and COCONUT to eat by the window and watch for spring.